★ IMPROVE YOUR FLEXIBILITY & ENDURANCE - Our compression socks are also perfect for athletes and runners! They support blood flow to reduce fatigue and promote recovery after exercise. ★ The foot sleeves won\'t limit your ability to move like a plantar fasciitis night splint, so you can wear them for any activity like sports, travel, work or even while you sleep. 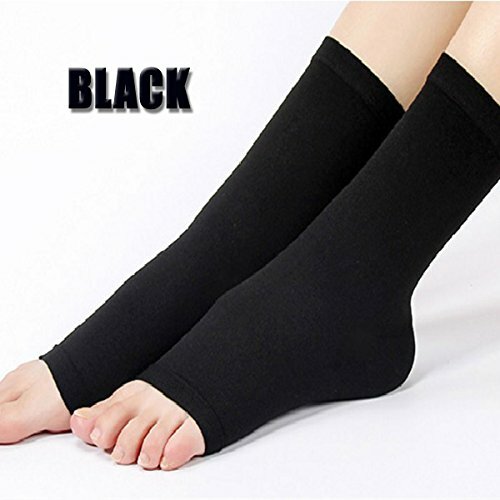 ★ GREAT VALUE BUNDLE - Come in 1 pair of compression sock, even in two colour. The products are woven from the filaments recommended by the European Standard RAL GZ for medical.